If you’re in search of a parasite cleanse, there’s a good chance you’re already aware of the shocking statistics: Millions of people around the world — including First World countries like the U.S. — have parasitic infections. Sure, Americans are better off than people who live in places where hygiene and sanitary standards aren’t as high. But the reality is that there are millions of people right here in the U.S. RIGHT NOW walking around with an active parasite infection. Fortunately, there are ways to kill parasites that don’t involve a trip to the doctor. In this article, I’ll share some home remedies that can eliminate parasites. 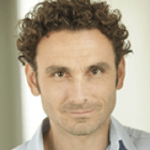 I’ll also tell you about a breakthrough natural parasite cleanse I’m sure you’ve never heard of… one that literally zaps parasites in the human body, causing them to die off. [#1] The Shocking Statistics of Parasite Infections in the U.S.
Could I have a parasite infection? The shocking statistics of parasite infections in the U.S. The simple answer is yes… you might have a parasite infection and not even know it. That’s because some parasites are able to live inside the host organism (in this case, YOU) for years before symptoms appear. Ninety percent is a lot of people! The odds are definitely in the parasites’ favor. You can even inhale microscopic parasite eggs from the air. The good news is that parasitic infections are rarely deadly in the United States. But the bad news is that a parasite infection can cause a host of other health conditions. People with leaky gut syndrome, weakened immune systems (children and the elderly, for example) and those with imbalances in the flora of their intestinal tracts may be more susceptible to these nasty infections. Key takeaway: Parasites are more common in humans than you may realize. They can also cause a wide range of health problems. 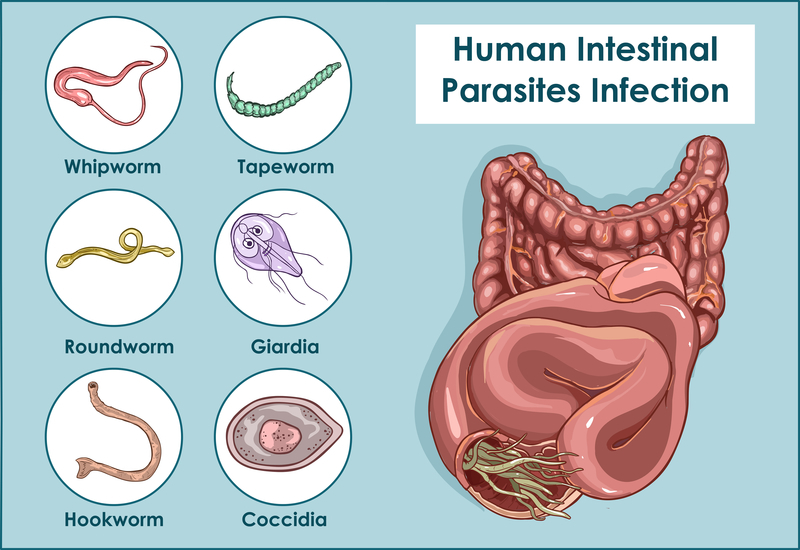 Intestinal parasites are among the most common. These kinds of parasitic infections can wreak havoc on your digestive system and cause symptoms like constipation and diarrhea, frequent bowel movements, gas, bloating, stomach pain, vomiting, and other symptoms similar to those of irritable bowel syndrome. And many pain sufferers don’t realize that parasite infections can also cause joint and muscle pain. Key takeaway: Parasites can wreak havoc on your body, sometimes causing chronic pain issues. There are several anti-parasitic drugs available to treat various types of parasite infections. The problem is that many of these drugs can have significant side effects — and some of those side effects even mimic some of the parasite symptoms! I prefer treating — and preventing — parasite infections in a more natural way. 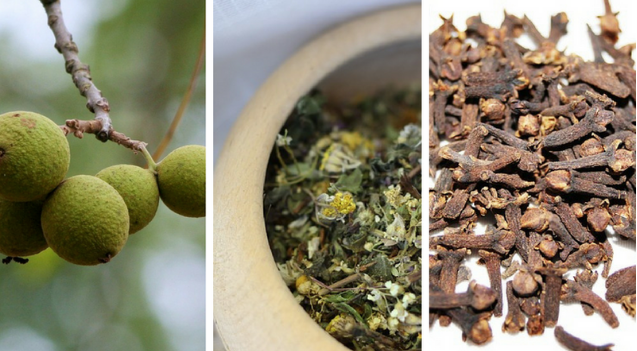 Lucky for us, Mother Nature has a treasure trove of herbal remedies that are very effective at wiping out common parasites. Coconuts have been used for centuries in India to treat tapeworm infections and other intestinal worms. 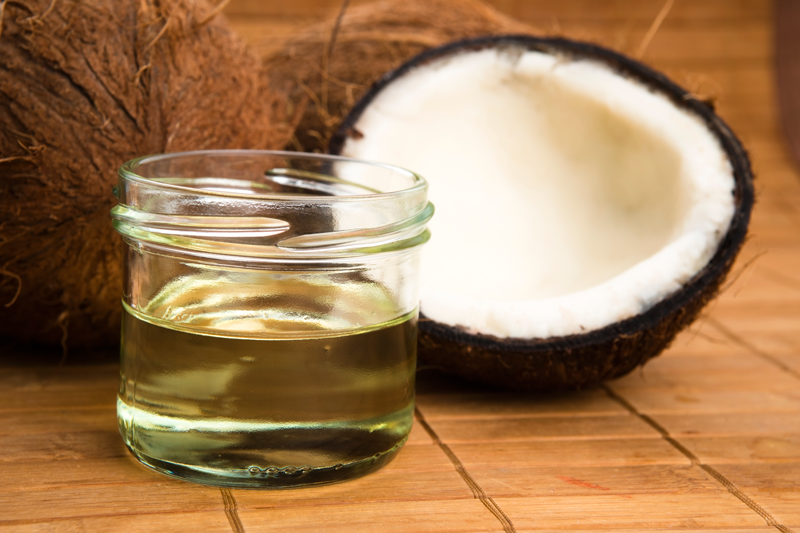 Coconut oil is also effective at treating giardia infections, which causes terrible cramps, bloating and diarrhea, killing off these single-celled parasites before they can establish their life cycle inside your digestive tract. Take one teaspoon twice a day, either alone or mix in food. 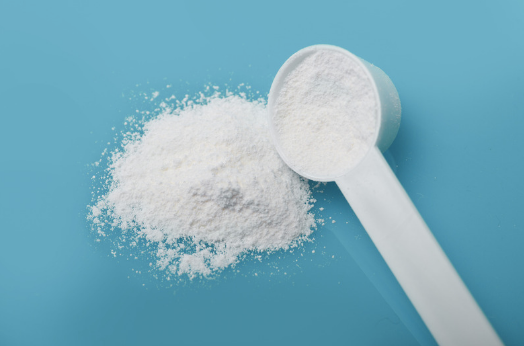 It’s a long complicated name, but diatomaceous earth is just the fossilized remains of a tiny aquatic organism called a diatom. It’s one of the most effective parasite cleanses available. It’s believed to work by dehydrating the parasites. It’s available in powder form. Many natural health practitioners recommend taking one teaspoon daily, mixed with water. Don’t underestimate this common herb. Garlic has been shown to have antimicrobial, antibacterial, anti-fungal, antiviral and anti-parasitic effects. 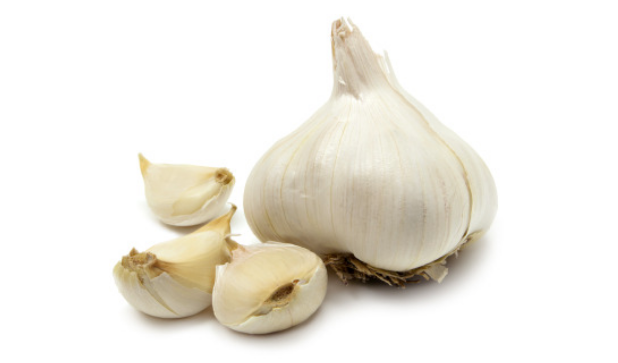 One of the most potent anti-parasitic properties in garlic is a compound called allicin. You have to crush or chop the garlic in order to get the most effect. Start with one clove per day. This powerful anti-parasite trio works well to kill a variety of parasites and parasitic worms. Black walnut hulls kill adult parasites, wormwood kills parasites in the larval stages, and cloves kill parasite eggs. You can also buy anti-parasite cleanse supplements online or at your local health food store. Look for cleanse supplements that contain the ingredients listed above. Other great anti-parasitic natural treatments include pumpkin seeds, papaya seeds, grapefruit seed extract, oregano oil and apple cider vinegar. Key takeaway: Coconut oil, food-grade diatomaceous earth, garlic and the anti-parasite trio of black walnut hulls, wormwood and cloves are among the most effective natural parasite supplements. 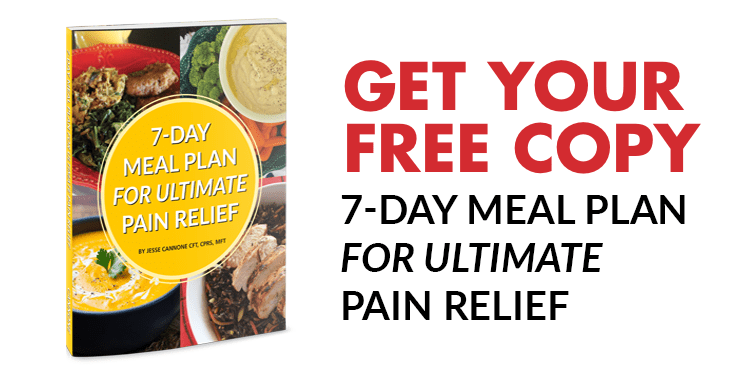 Much of what we know about parasites in the human body and the natural remedies that can eliminate them is the result of the work done by a Canadian doctor named Dr. Hulda Clark. She studied parasites and parasitic infections for 50 years — and discovered a way to kill parasites by zapping them with specific, targeted radio frequencies. Based on her extensive research, she developed the ElectroCleanse, a portable, easy-to-use device that can rid your body of parasites… in just seven minutes a day. Read more about Dr. Clark’s research and this remarkable device by clicking right here. Key takeaway: Dr. Hulda Clark’s research claims you can kill parasites and other pathogens using targeted frequencies in your body. Parasites are more common than you may have thought, and they can cause a wide range of health issues such as chronic pain. Here are the key points from this article. Key takeaway 1: Most humans alive have a parasite infection. They are way more common in the developed world than you may think. 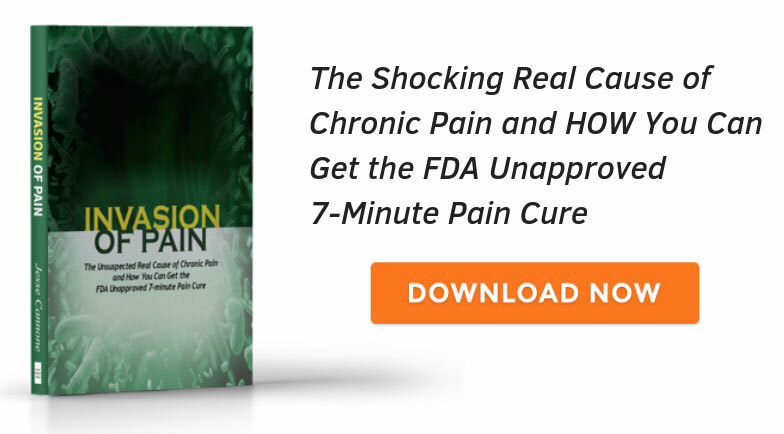 Key takeaway 2: Parasites can cause a host of health problems, and often are the culprit behind chronic pain. Key takeaway 3: You can follow a regimen of natural supplements to cleanse parasites from your body. The ones listed above are some of the most potent. Key takeaway 4: Dr. Hulda Clark’s research shows targeted radio frequencies through devices like the ElectroCleanse can help kill parasites in a matter of minutes.